$5000 to the team with the most impressive cryptofinancial use cases on Ethereum, especially those using multi-token smart contracts. P2P Offline-First Apps — make a distributed p2p app that works offline first, and syncs state with connected peers. Examples: Social networks (twitter), chat client, collab editable docs, collab editable spreadsheets, collab programming environment. Naming Systems. Build or implement a simple naming system, mapping from human readable names to IPFS hashes. Interesting directions: using a blockchain or other BFT consensus, using CRDTs, partition tolerant systems, community shared names, relative names, permanent names. Join us in building the next generation of cryptocurrency and blockchain technology! March 16-17 at the Massachusetts Institute of Technology. Join the MIT Bitcoin Expo in building our decentralized future. We will be bringing together 250 developers, hackers, and industry expert from around the world to compete in a 24-hour hackathon to build the best decentralized technology for Web 3.0. 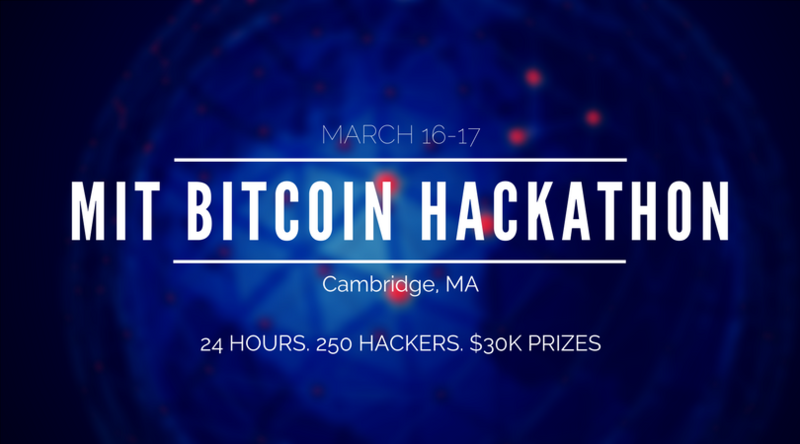 This year, the MIT Bitcoin Hackathon will be taking place March 16-17, 2018. We'll be providing hackers with free food, travel reimbusements, prizes, and opportunities to present their projects to top industry judges at the annual MIT Bitcoin Expo. Get ready to push forward the future of development! Participants must be university students or professionals. Submissions should include the project description and, if possible, a link to a working demo.